Delayed onset muscle soreness (DOMS) also known as 'muscle fever' is a sore, aching, painful feeling in the muscles after unfamiliar and unaccustomed intense exercise. DOMS is thought to be due to temporary muscle damage and inflammation for which the most common trigger appears to be eccentric exercises. The soreness starts a day following the activity but usually peaks within 48 hours. Eccentric muscle contractions result in greater disruption to the structural elements of the muscle and connective tissue than concentric exercise, which is why DOMS is more intense with eccentric than concentric forms of activity. This structural disruption has sufficient evidence by histologic studies, electron microscopic examinations and serum enzyme levels which have been carried out over the years. Eccentric contractions recruit fewer motor units and thus the force generated is distributed over a smaller cross sectional area of the muscle. This increased tension per unit area causes greater injury to the tissue. 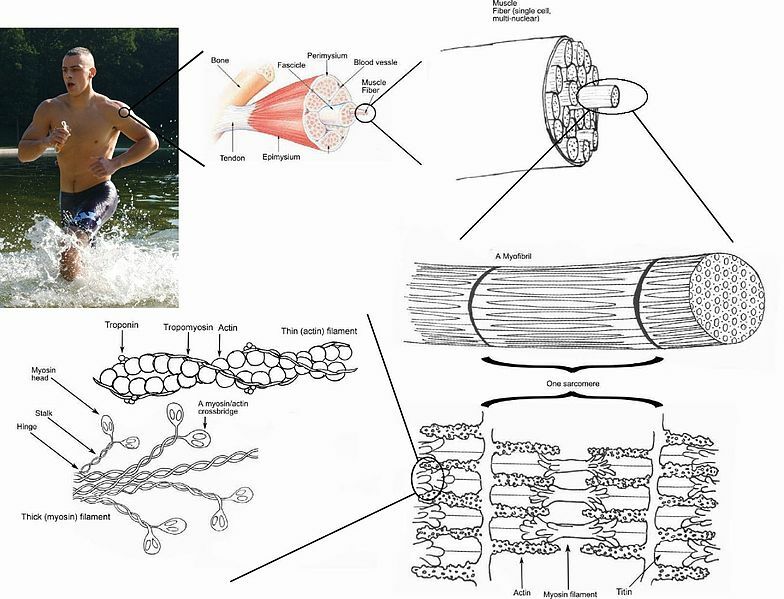 However there is still ongoing research to establish a direct causation between the muscle and connective tissue injury to the onset of DOMS. Having DOMS is usually a positive sign post exercise. It indicates that the muscle is healing into a stronger state than it was before the activity and hence it means that the training was indeed effective. Many physical therapy patients will be starting a new exercise program or will be adding new exercises to their current exercise program. These exercises may be intense for the patient and the patient may experience delayed onset muscle soreness (DOMS) after starting a physical therapy or exercise program. DOMS is usually weaker following subsequent exercise sessions but the first bout may be so intense that patients often refuse to continue the exercises. Therefore, it is important for the therapist to reassure the patient that DOMS is a normal part of a new exercise program and to help the patient differentiate muscle soreness from other types of pain. It is also important to note that the severity of the soreness is not related to the extent of the exercise-induced muscle damage. Massage is one alternative therapy that has been proven to show significant effects in reducing the intensity of the stiffness and pain felt associated with DOMS. When administered within 2 hours of activity, the mechanical pressure is believed to decrease the neutrophil migration and thus reduce the inflammatory process within the muscle structure. Massage however was shown to have no effect on muscle performance or strength post exercise when compared to a control group who were not administered the therapy. ↑ Guo J, Li L, Gong Y, Zhu R, Xu J, Zou J, Chen X. Massage alleviates delayed onset muscle soreness after strenuous exercise: a systematic review and meta-analysis. Frontiers in physiology. 2017 Sep 27;8:747. ↑ Kim J, Kim J, Lee J. Effect of compression garments on delayed-onset muscle soreness and blood inflammatory markers after eccentric exercise: a randomized controlled trial. Journal of exercise rehabilitation. 2017 Oct;13(5):541. ↑ Nosaka K, Newton M, Sacco P. Delayed‐onset muscle soreness does not reflect the magnitude of eccentric exercise‐induced muscle damage. Scandinavian journal of medicine & science in sports. 2002 Dec 1;12(6):337-46. ↑ 2. J E Hilbert, G A Sforzo, T Swensen. The effects of massage on delayed onset muscle soreness. Br J Sports Med 2003;37:72–75 ; (): . (accessed 18 February 2018).